Did Microsoft Steal The Live Tile design? Microsoft is being sued over the ideas behind the company's entire visual identity, which is the base functionality of their new operating systems. The lawsuit is about the "live tiles" on the Windows Phone and Windows 8 interface. Two years ago, while advertising Windows Phone 7, Microsoft introduced the concept of "live tiles" that were used as a building block of the mobile interface of the OS and associated applications. 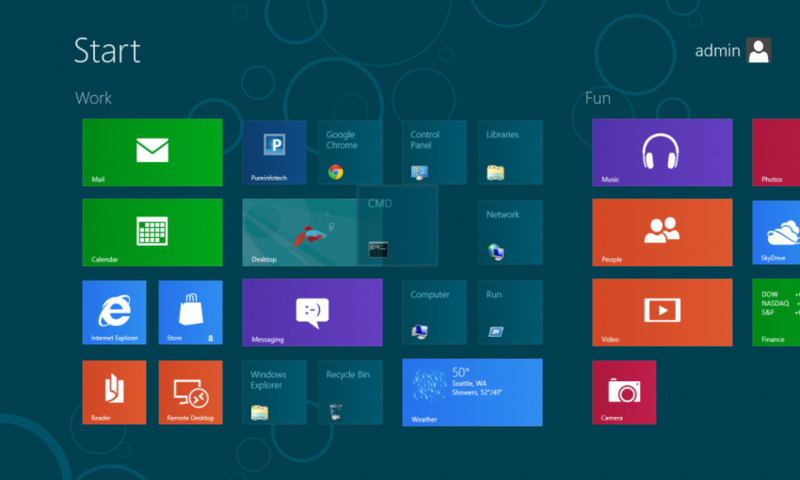 The concept has now been extended to both Windows 8 and Microsoft's entire visual identity is based on the principle of simplicity, promoting "live tiles“. However, not everything went so smoothly, the company SurfCast claims that this concept is theirs. Also, to show that they are serious about this, they have lodged a formal complaint in court and what SurfCast hates the most is selling computers with an interface based on these tiles. The patent in question was registered at the U.S. Patent Office in 2000. This patent broadly refers to the selection of multiple sources of information, and then assigning an individual "tile" for every source. In addition, information on the "tiles" is refreshed at regular intervals, just like in Windows. SurfCast is a company that does not develop or sell any product. Basically what they do but patents and then license them to others [what most people call a patent troll – Ed]. In the absence of a licensing agreement they decided to press charges upon the complaint in the hopes that they will get some sort of arbitration. Even though many would agree that this is “patent trolling” since SurfCast doesn’t make any software they could get some money from this mess if they stay persistent and show clean evidence of copyright infringement. Meanwhile Microsoft can always try to get past some of the damages by claiming their (Microsoft’s) use of the tiles is not impacting SurfCast’s revenue.